Vapor smoothing with MEK or acetone vapors is one of the most popular post-processing techniques but the process is messy and dangerous as both MEK and acetone are highly volatile. The solvents are vaporized, usually in a jar or a glass bowl while the model is held above to be covered with vapors. 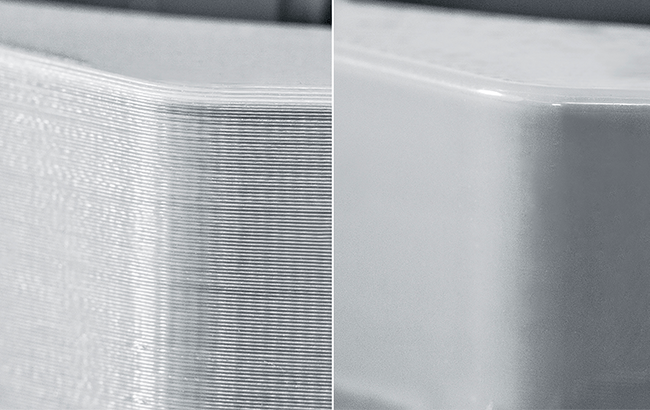 This way, the surfaces achieve glossy or mat finish, depending on the type of filament used and the layering becomes invisible. It’s difficult, though, to achieve an evenly smoothed model like the one shown below by doing this manually. Moreover, the remaining vapors that didn’t condense on the model go straight to the room where the process is being done because there is usually no barrier preventing them from doing so. 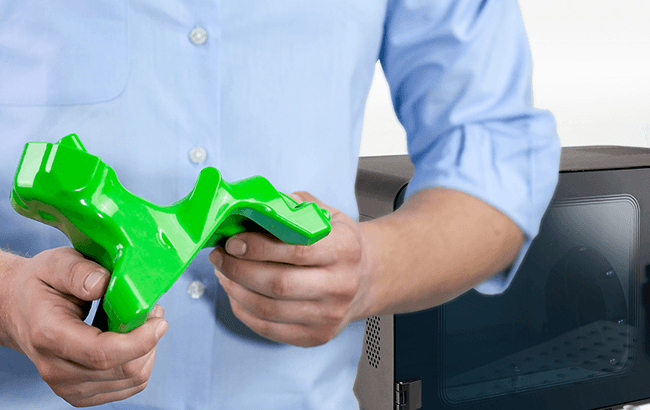 But vapor smoothing, when done with skill and expertise, makes 3D printed models indistinguishable from injection molded products which is why many users do it despite the risk. But now it’s possible to make make vapor smoothing clean, automated, and most importantly safe while offering significantly higher quality finish. We wanted automatic vapor smoothing device to be simple: a solution where the user just opens the door, puts the models in, presses a button, and takes them out already vapor smoothed once the process is done. To make that possible we have developed the Smart Vapor Smoothing (SVS) technology that works in Zortrax Apoller smart vapor smoothing device. 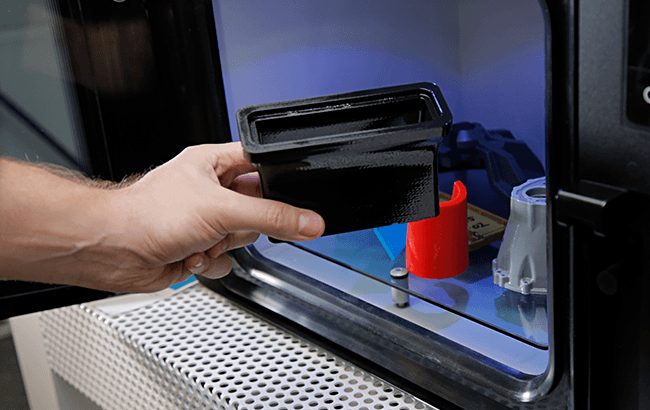 The device has an air-tight, double sealed smoothing chamber measuring 300x250x250 mm which is usually enough to contain a weekly output of two typical FDM 3D printers. Both acetone and MEK are supported and stored in an internal tank. Once the models are placed on the glass tray at the bottom of the chamber, the door has to be closed and the settings chosen via an intuitive touch screen. In the next step, Zortrax Apoller pumps the air out of the chamber to bring the pressure inside below the ambient level. This step serves two purposes. First, it prevents the vapors from getting outside. Second, it is as a secondary means to keep chamber closed, even if there is a power outage. Once the right pressure is reached inside and the walls of the chamber are heated up, Zortrax Apoller transfers the solvent from the tank to a container installed beneath the glass tray. That’s when the actual vapor smoothing begins. Proprietary algorithms start to carefully change the temperature in the chamber. The process begins with heating it up enough to vaporize the solvent. Then, the vapor circulation system starts spiraling the vapors upwards to evenly cover the models. The vapors condense on the surfaces of the models because those surfaces, at this point, have lower temperature than the vaporized solvent. 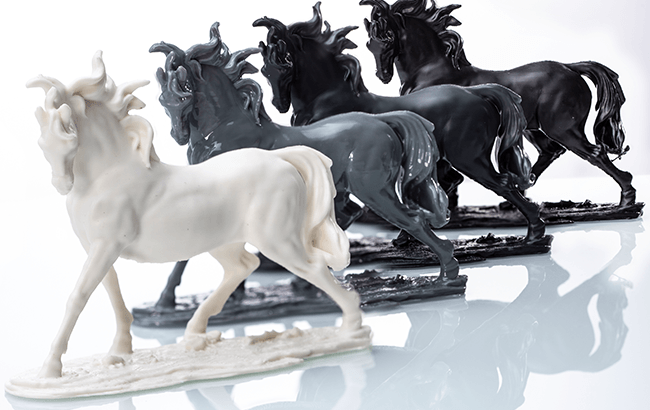 What’s more, thin walls and tiny details of the models heat up at a faster rate than the larger shapes, so they are covered with less solvent. It is because the higher temperature prevents the vapors from condensing on such spots. In consequence, the details get smoothed but they don’t get deformed by the solvent. 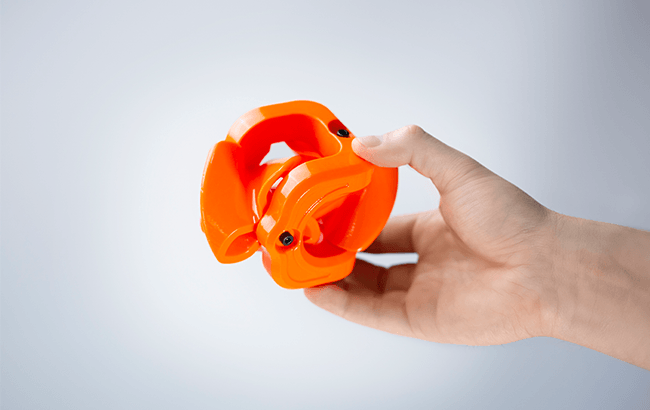 The vapors’ circulation system also makes it possible for Zortrax Apoller to smooth movable mechanisms without gluing tightly interlocked parts to each other. Once covering models with vapors is done, the walls of the condensation system get cooled down below the dew point of the vapors. This way, the circulating vapors stop to condense on the models and start to condense on the walls instead. From the condensation system, the now liquid solvent flows back to the tank where it can be reused in future smoothing sessions. In the last step, Zortrax Apoller heats the chamber back up again to dry the models out. The entire process is fully automated and takes 3 hours. Smoothed models are ready to use straight out of the chamber. But making vapor smoothing automated and efficient was one thing. Making it safe was quite another. Acetone and MEK are volatile and equipment working with those solvents has to be designed with a workplace safety in mind. That’s why Zortrax Apoller has multiple safety systems with multiple levels of redundancy. To explain how this redundancy works exactly, let’s consider two sets of seals installed in the door to the Apoller’s smoothing chamber. A system with no redundancy requires both sets of seals to work properly. If just one of this sets fails, the chamber ceases to be air-tight and the air gets inside. But Zortrax Apoller would work just fine with just one of the sets. The one set is primary, the other one is redundant, which means it’s there just in case. This kind of redundancy has been engineered into all of the Apoller’s critical systems. Let’s think what happens when there is a power outage. The smoothing chamber will stay closed regardless. When the power is back on, the software running the Apoller will know what has just happened and automatically decontaminate the chamber before allowing anyone to open it. Then there are electronics end electrical cords inside the device. All components which can get into contact with vapors got a certificate of compliance with ATEX 2014/34/EU Directive regulating safety standards necessary for equipment meant for explosive atmospheres. That’s what makes Zortrax Apoller safe to use even in a typical office setting. 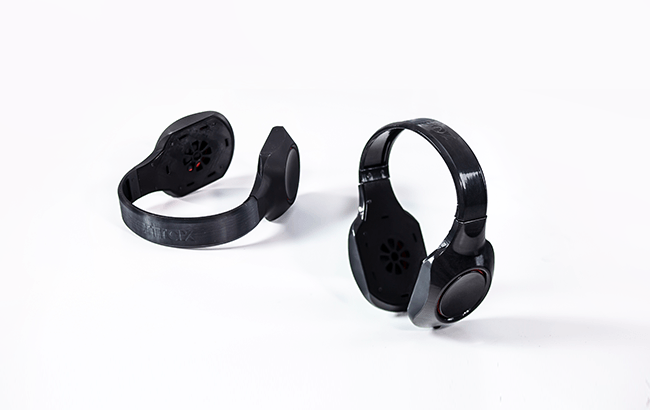 There are many reasons to go for vapor smoothing besides making the models look good. Making prototypes that have the looks of end-use products is obviously an area where this kind of post-processing creates lots of added value. But there are less obvious applications as well. Parts working in tight fit mechanisms have less friction when their surfaces are smoothed. Less friction leads to less heat which is usually a good thing in engineering where heat dissipation is often a serious issue. 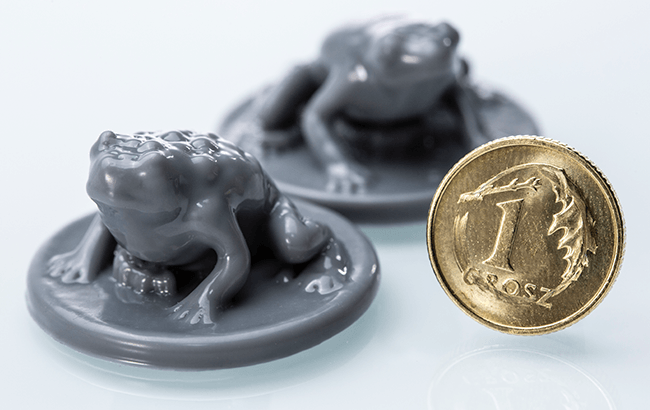 Properly smoothed 3D printed models can be used as patterns for investment casting. It’s particularly important because surface imperfections of patterns always come out on the surfaces of final products. Because vapor smoothing superficially melts the models surfaces it also makes those models water-tight which is important in multiple industries. Zortrax Apoller can work in all those applications at scale offering reputable results It’s also very efficient. 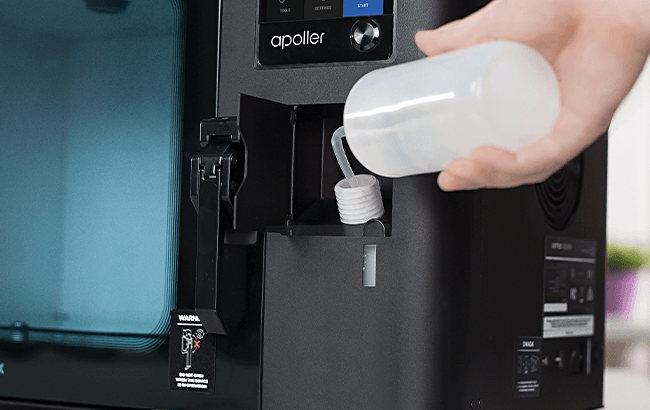 Zortrax Apoller can retrieve excessive vapors, just one 300 ml bottle of solvent is enough for multiple smoothing sessions. 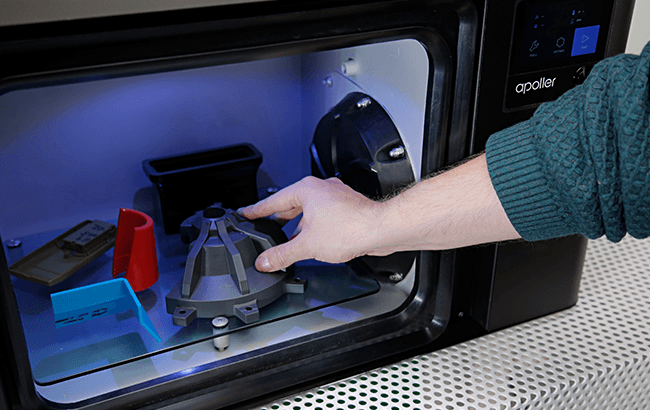 The Apoller can smooth the weekly output of four typical FDM 3D printers in just one day, so it scales up well to work in large 3D printing farms. That’s what makes Zortrax Apoller a unique solution for automated post-processing.